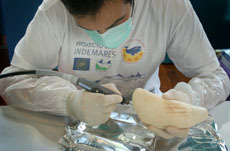 The Coordinadora para o Estudo dos Mamíferos Mariños (CEMMA) is a Galician NGO founded in 1992, dedicated to the study and divulgation of marine mammals and sea turtles in Galicia, through research, promoting and participating in projects with national and international institutions, and promoting public knowledge through exhibitions, conferences and courses. 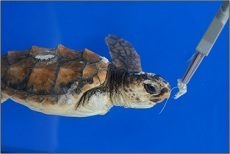 Since 1999 CEMMA is, thanks to agreements with the regional government Xunta de Galicia, the institution responsible to carry out the strandings network in the Galician coast, the management of the bank of biological samples of these species, the rehabilitation of injured animals and the population studies. 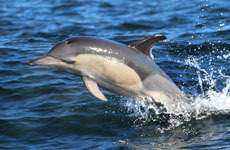 It also participates in the drafting of conservation plans for the most threatened species for regional and national administrations.